Last month, we reported that we improved OpenLiteSpeed’s performance by fixing a bug we discovered thanks to a benchmark posted by Jarrod from rootusers.com. 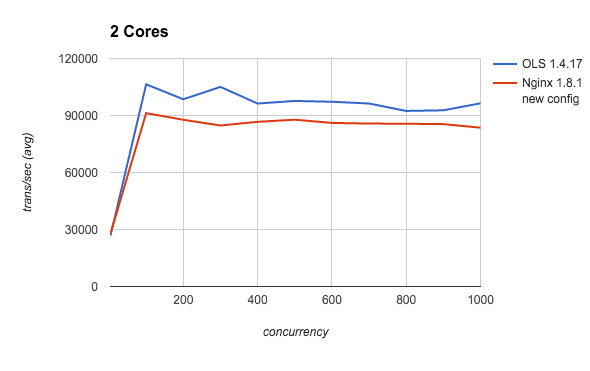 Our internal evaluation confirmed that Nginx was indeed faster with its benchmark-tuned configuration. That said, should these kinds of configurations be used in a production server? We do not like the practice of tuning configuration solely for the sake of getting better benchmark results and we won’t do that. 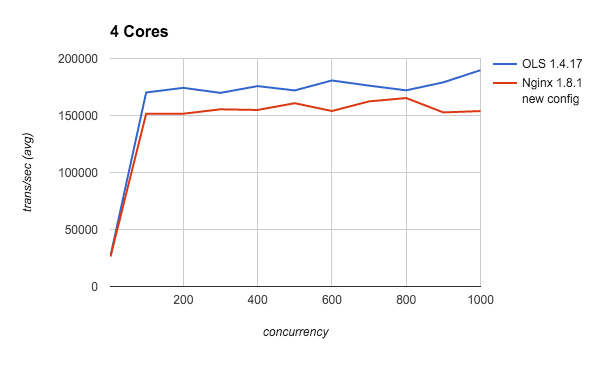 If we want to win a benchmark contest, we want to do it with exactly the same configuration used in production. After spending some time in code optimization, we did again. The end result is that with our default production settings, OLS 1.4.17 now outperforms even their specialized settings. 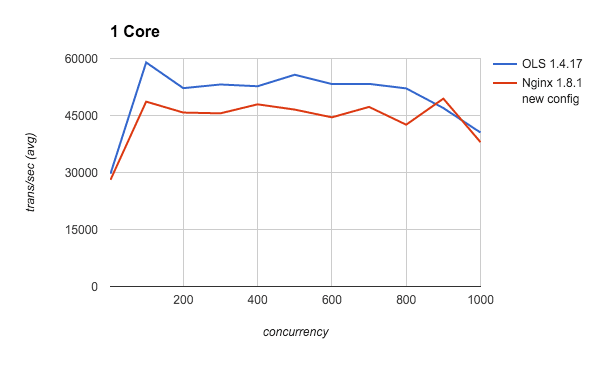 Below are some results of our quick benchmark tests. With OpenLiteSpeed, you will get exactly the same level of performance in production as the benchmark results show because the configurations are same as a production site might use. We are looking forward to Jarrod’s update on his benchmark again to verify these new results. Of Benchmarks and Bug Fixes: OpenLiteSpeed Gets Even Faster! Why is Benchmarking WordPress so Hard? Wow… that is FAST. Nice work!